Natural ventilation is considered a prerequisite for sustainable buildings and is therefore in line with current trends in the construction industry. The design of naturally ventilated buildings is more difficult and carries greater risk than those that are mechanically ventilated. A successful result relies increasingly on a good understanding of the abilities and limitations of the theoretical and experimental procedures that are used for design. There are two ways to naturally ventilate a building: wind driven ventilation and stack ventilation. 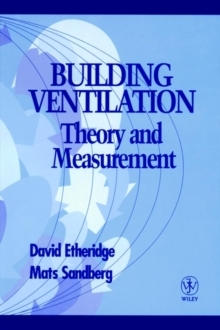 The majority of buildings employing natural ventilation rely primarily on wind driven ventilation, but the most efficient design should implement both types. 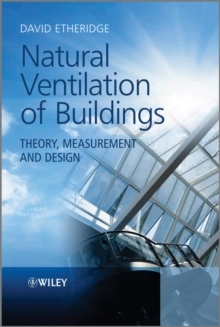 Natural Ventilation of Buildings: Theory, Measurement and Design comprehensively explains the fundamentals of the theory and measurement of natural ventilation, as well as the current state of knowledge and how this can be applied to design. The book also describes the theoretical and experimental techniques to the practical problems faced by designers. Particular attention is given to the limitations of the various techniques and the associated uncertainties. Key features: * Comprehensive coverage of the theory and measurement of natural ventilation * Detailed coverage of the relevance and application of theoretical and experimental techniques to design * Highlighting of the strengths and weaknesses of techniques and their errors and uncertainties * Comprehensive coverage of mathematical models, including CFD * Two chapters dedicated to design procedures and another devoted to the basic principles of fluid mechanics that are relevant to ventilation This comprehensive account of the fundamentals for natural ventilation design will be invaluable to undergraduates and postgraduates who wish to gain an understanding of the topic for the purpose of research or design. 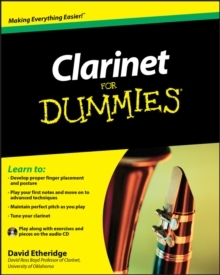 The book should also provide a useful source of reference for more experienced industry practitioners.